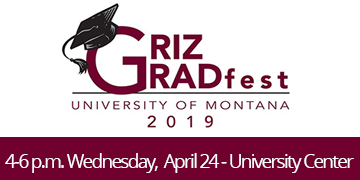 The University of Montana Alumni Association Board of Directors has announced the winners of its inaugural Grizzly of the Last Decade Award. 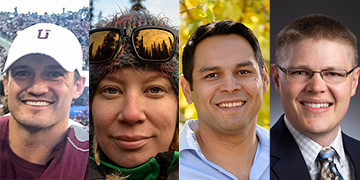 The award honors outstanding UM alumni who have graduated within the past decade, excelled early in their career and shown the potential for continued success. This is a FREE event for all graduating students and departing international students. Bring your Griz Card or photo ID. Complimentary pizza, beverages and music. Enter to win fantastic prizes. Members of the classes of 1969, 1959 and 1949 will be recognized during UM’s 2019 Homecoming Week. We look forward to helping you celebrate your landmark 50th, 60th and 70th class reunions. Join fellow UM alumni for the popular Griz on Tap socials. 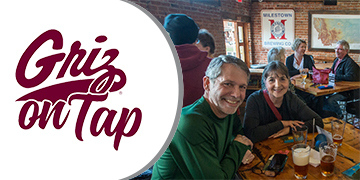 Whether you are reconnecting with some old friends or creating memories with new ones, Griz on Taps are always a fun and engaging time. While networking, enjoy a tasty local brew and some delicious snacks. 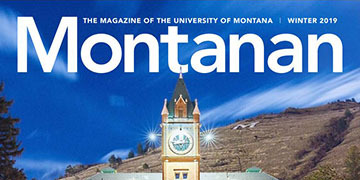 The Montanan alumni magazine for the University of Montana includes interviews with amazing Griz, features on UM happenings, history from campus and stories on where alumni have gone after UM. Introducing alumni travel that submerges you and your UM classmates in the culture and time of a place. Our trips span the globe, including obscure destinations like Antarctica, Galapagos, Patagonia, the Arctic, or the Amazon. Click on the image above to check out our 2019 trips to Vietnam/Cambodia and the Canadian Arctic! 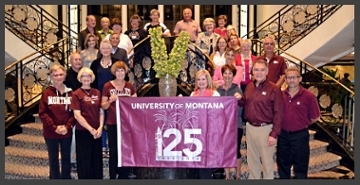 The University of Montana Office of Alumni Relations and the Alumni Association play an integral role in the success and viability of the University of Montana. 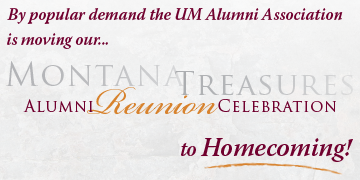 The Montana Alumni vision is to be recognized as a leader in alumni engagement through establishing valuable lifelong connections between alumni, friends of UM and each other and empowering the UM global community to support and advance UM in its pursuit of excellence. The Montana Alumni office reaches out to more than 105,000 alumni and friends, helping them to stay connected to UM through events, programs, services, and both on- and off-campus activities. We fund scholarships for deserving legacy students and sponsor many programs and activities that connect alumni with each other and their alma mater. We also assist the University’s legislative advocacy efforts through board-driven volunteer efforts to gain support for higher education throughout the state. The Office of Alumni Relations and Alumni Association are committed to providing meaningful opportunities for our alumni to Get Connected ... Stay Connected. We are your lifelong connection back to the University of Montana.